CRM, or customer relationship management, is one of the most important tasks for small business owners. Because of this, there are so many software solutions available for the task. It can be hard to narrow down the field to select the best CRM software for your small business. That is why we are here. We know that as a business owner, you are constantly being pulled away from your desk for one reason or another. That is why mobility is a vital part to the best CRM solution for a small business owner. This post will present you with the top CRM apps so you can manage your business and customers on the go. Hubspot CRM is one of most enticing options to make our list, as it is one of the best free CRM apps. Using Hubspot, you can track companies, contracts and leads all from one place. This is a great tool to help you make better use of those time management strategies you have been learning. Even better, your team can use the app to track this information as well. Use the app to keep track of your interactions via email and, if you are willing to pay a small fee, phone calls too. If you are looking for a basic CRM app to manage client interaction, Hubspot is the free solution you have been dreaming of. Podio is an excellent CRM app for those that need a comprehensive solution. Podio has over 700 business apps within one interface. The app features lead and deal CRM solutions. It also has a great contacts app for those in need of a one stop shop. In addition, Podio has built-in features for group chat and status updates. For just $9/user/month, after the first 5 users free, this is a solution you should certainly consider using. If you are willing to pay a large chunk of change, Insightly is one of the best all-around CRM solutions. For one price, you can access this CRM software from anywhere – at home, at work or on the go. You can use the Insightly CRM app to store files and track all the opportunities, proposals and current projects you need to. Insightly is one of the best customer relationship management software out there, and CRM is one of the most vital parts of the all the best sales strategies. If you can afford the cost, definitely consider Insightly. You can try the Base app for free to determine whether you like it or not. This is a huge benefit that you do not get with the others on this list. Base is a CRM solution developed entirely with mobility in the forefront of the creator’s minds. If you are a salesperson on-the-go, Base is an intuitive app that allows you to log calls, create tasks, manage contacts and more. If you need a CRM app that was developed exclusively with mobile use in mind, Base is the CRM solution you have been waiting for. Applane CRM is an excellent solution if you need a free application for your own private use. Why? Because it is free for up to two users. After that, you may still want to use this CRM app for the price of just twelve dollars a month. Applane allows you to manage every step of the sales process. From data mining to closing, Applane manages it all in one easy to access place. Consider Applane if you are a business person in need of a CRM application that does a bit more than just manage contacts. The final CRM software to make our list is Nimble. This particular app will help you to gather information on your leads and save it all in one location. Nimble searches the web, social media platforms in particular, to find relevant information regarding your contacts. That is why this app is used by many social media marketing companies.This information can certainly help you to close on more deals, which is invaluable. 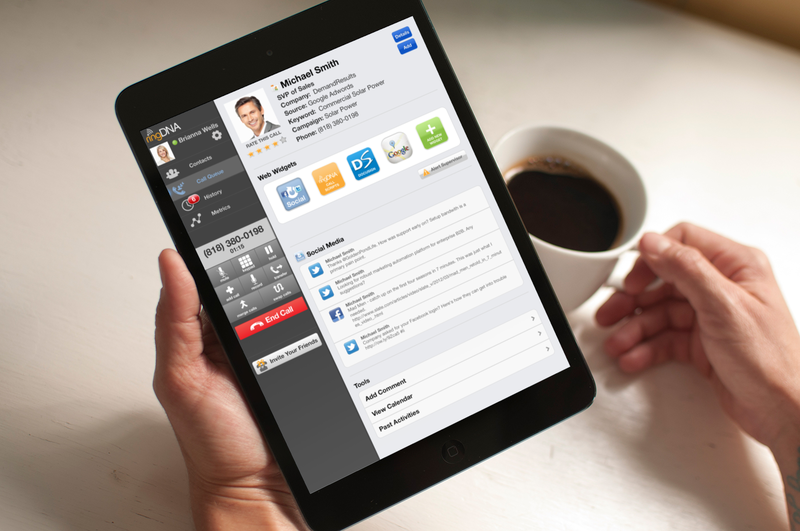 Download Nimble for free to experience the benefits of this top CRM app. If you are a small business owner trying to find the best CRM apps for use in your sales department, consider the solutions listed above. Whether you want to manage your contacts or complete every task in the sales cycle, you will not be disappointed using these top CRM apps.